Frank doing demos for beginning pottery students in 2005. We all miss you, Frank. 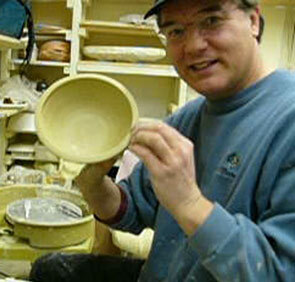 Frank J. Borovich Jr. (1951-2007), my partner in life, love and clay for far too brief a time. Frank's excellence and humility in the art of creating beautiful, functional pottery and his gentle encouraging manner as a teacher will forever inspire my work.